Ainsland, a virgin widow fleeing from her husband’s murderer, and Collum, a healer who possesses supernatural abilities, are brought together by circumstance. What begins as a marriage of convenience for the couple evolves into one of great love and passion. Yet, Collum’s tragic past and the ever-looming threat of Ainsland’s malevolent pursuer’s appearance in their close-knit rural community overshadows their ability to be truly content. When evil strikes and all seems lost, will it be the resilient, headstrong Ainsland who is able to save herself, her husband, and the people she has come to know and cherish or will Collum, determined and wise, somehow manage to rescue the love of his life before time runs out? “She’s very likable,” Collum agreed, as he arranged some herbs in piles on the table. Hearing the tone in her voice, he raised his head from his task and narrowed his eyes. She turned away from him and didn’t answer. Ainsland forgot her anger, rose from the bed, and went slowly to the table. He laughed and lowered his head. With a sigh, Ainsland did as he asked. By the end of the afternoon, she’d helped him with various tasks around the cottage. 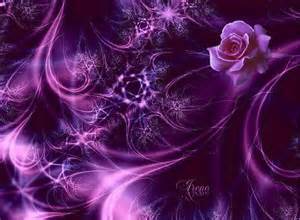 He blinked in surprise then grinned broadly at her. Collum’s voice was low and throaty and almost unrecognizable. Ainsland opened her eyes and looked up at him. She became aware of how tightly she was gripping his shoulders. She relaxed her fingers but did not release him. She nodded and tried not to cry. She seemed stretched beyond her limits. As she lay wordlessly beneath him, Collum began to move his hips slowly in a circular pattern, never pulling out of her. She bit her lip at the discomfort but didn’t ask him to stop. After a time, the pressure seemed to lessen slightly, and her loins began to ache for what she innately knew was meant to be. Collum became still, his shaft rigid inside of her. He was finding it difficult to think clearly. He had done all that he could to ease the tight flesh, and the glove of her passage was beginning to pulse with unmistakable urgency. His own urgency could be reined in no longer. He stroked her with slow thrusts. She moaned and lifted her hips slightly so that he went further inside of her. There was an instant tightening of her flesh around him, and the little cries she made awakened the true passion within him, a passion he’d denied for too long. Ainsland screamed his name over and over. The muscles surrounding him quivered and throbbed, and Collum released in her. Ainsland arched her back with her final cry of pleasure then lay trembling underneath her husband. He rested his head beside hers and sighed, but he didn’t pull out or attempt to get up. Richard’s youngest son ceased his struggles and lay still in his father’s arms. In a moment of clarity, the healer forced back the envelope of fever that surrounded him and focused on his weakened body. His skull was knitting itself back together nicely. The ribs and shoulder continued to ache, but the pain was not so acute. Most of his bruises and cuts were healing, albeit slowly. His broken leg throbbed fiercely, and Collum doubted that he would ever walk normally again – if he lived to walk again. His belly had been badly infected. From the fresh lacerations near the area, he deduced that Jordan must have been waging a repetitive series of battles with persistent infection. 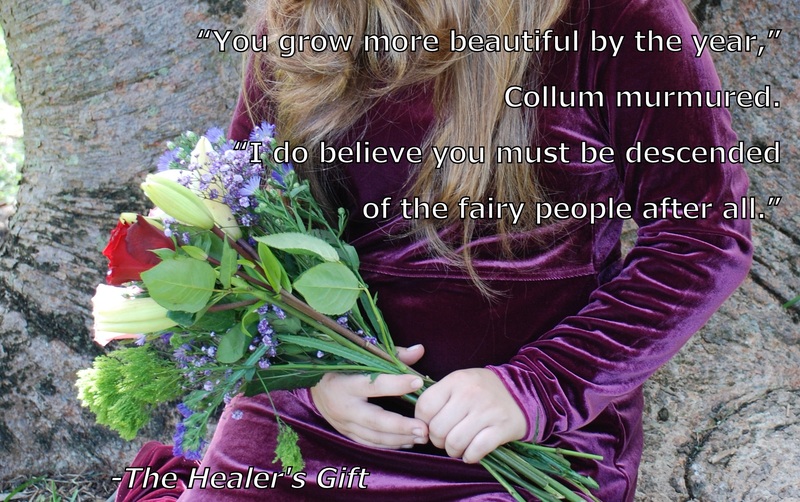 Collum imagined what steps he himself would take if he were the healer and Jordan was the patient. It would be a ceaseless cycle of cut, drain, clean, stitch, and dress. He almost smiled at her use of the old pet name she’d given him when he’d been a baby. She had one for each of them, he recalled. Edward was the little hawk; Landon was the little fox; Grayson was the little foal; Inya had been the little robin; and John was the little deer. It had been years since he’d heard any of these nicknames spoken aloud. He had almost forgotten them completely. Collum became aware of how badly his back ached. He reasoned that his body was not doing its job of purifying itself. Between the fever and his prolonged periods of unconsciousness, it must have certainly been a trial to get him to take in enough liquids. Significant weight loss was to be expected as well. And then she was near to him, pulling him against her chest and offering him tiny sips from a cup. He could not have been more content had she offered him her breast. His feeble efforts to touch her hair made her cry. Once the cup had been drained, she passed it to someone and took his hand in hers and brought it to her cheek. I am dying, Collum thought. My body will cease to function soon if I can’t make it heal. The stranger appeared to be nearing forty. His hair was black peppered with gray. He carried himself like a soldier. The man rode closer then paused in front of them. He removed the hood of his cloak and smiled down at the woman and dog. Ainsland could only imagine what they must look like to a stranger. Her heavy cloak and dress were dirty; her hair was surely a mass of tangles; and she felt sick and drained. The dog’s coat was dotted with dirt and leaves. His eyes filled with pity, and she turned away and resumed her former pace. After a few moments, she heard the horses hooves behind her, and Beastie turned and growled fiercely at the animal. “He’s a loyal one, isn’t he?” Harold asked pleasantly. She nodded and reached up to pat the horse’s neck. The dog quieted when he saw this. Harold got down from the horse and held the reins in one hand. Collum stood near the well looking up into the clear night sky at the two moons. When Ainsland came up beside him, he took her hand and wordlessly urged her to walk with him. She could feel the sadness emanating from him and wanted to say something comforting but knew that it was unnecessary. He understood without having to be told. They walked deeper and deeper into the woods, and Ainsland began to become concerned. If something should happen to one of the children, then how would anyone find them? They went past the place where Collum had found her unconscious fourteen years earlier. Another five minutes passed and then another. Just when Ainsland was about to ask him how much further they had to go, he slowed to a stop near some overgrowth on the side of a hill. Without warning, he released her hand and ducked between what appeared to be brambles and poison ivy. Pulling her cloak tightly around her, Ainsland gradually pushed her way through and was surprised to find that there were no thorns. She assumed that there was also no poison ivy as she went blindly forward. Ainsland had only just emerged through the tangle of vines, plants, and branches when Collum took her in his arms and pulled her against him. He bent low to kiss her, and she felt the familiar passion begin to build between them. Abruptly, he released her then gestured for her to look around. Walls of the thick overgrowth surrounded them on all sides. In front of them lay a small pool of water that was surrounded by lush groundcover and a multitude of night-blooming flowers. The air smelled sweet, and the moonlight shone brightly, unobstructed in the clearing. “What is this place?” Ainsland breathed. “My gift to you,” he answered. Still perplexed, Ainsland began to slowly walk around the little pool. She knelt beside it and touched the glassy surface with her fingers. The water was warm. “Part of the hot springs,” Collum told her. “Was this place always like this?” she asked, as he knelt beside her. Barbara Cutrera has been a writer since childhood but didn’t begin writing novels until 1999. 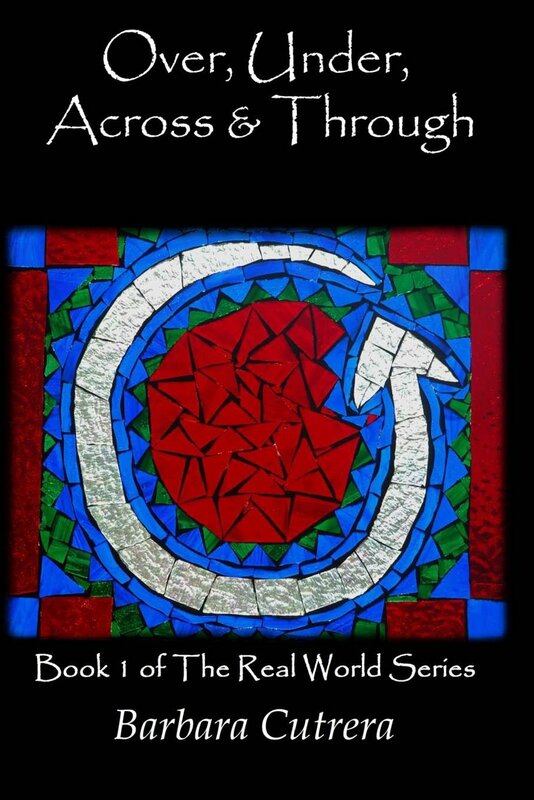 Her first novel to be completed was Over, Under, Across & Through, which is the initial book in her Real World fiction series that also includes A Good Man’s Life and Mercy. Not satisfied to be limited by writing in only one genre, she next penned a mystery blended with romance called In a Manner of Speaking. 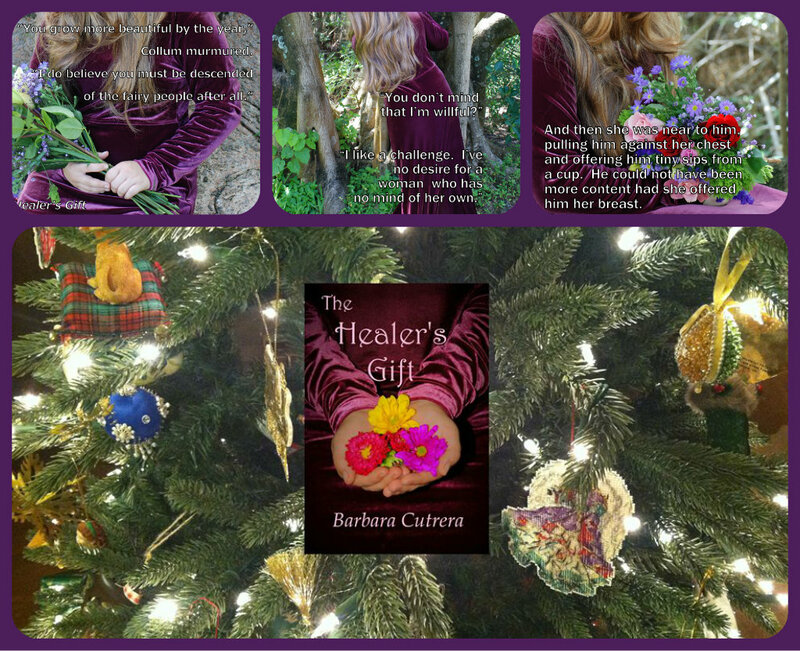 Cutrera took a dare from friends who suggested she write a romance and wrote The Healer’s Gift. She has since added A Lovely Dream, a romantic thriller, Prim and Proper, a true romance with a touch of mystery, and Lucky, a thriller set in the not-so-distant future in post-plague Earth, to her list of novels in queue for publication. She has recently completed another work of fiction entitled Compromising Positions and has started writing a romance entitled Sight Unseen. A young widower struggles to overcome substance abuse and emotional instability as his daughter attempts to find solace for them despite overwhelming odds. Set in southern Louisiana, Over, Under, Across & Through tells the story of Tristan and Sarah Maes and their extended family. The novel is divided into three parts. Each part highlights a different time period in their lives during the 1970s, 1980s and 1990s and explores how the father and daughter and those closest to them confront abuse, neglect, and deception. While Tristan grapples with the loss of his wife and the subsequent battle with alcohol and drugs, Sarah strives to carve out a normal life for herself. This is made more difficult by the onset of juvenile macular degeneration, which results in partial blindness that develops during her teenaged years. Parent and child must come to grips with their actions and choices in the past in order to gain the elusive peace of mind so desperately sought by both in their present. Neile Landry, a talented corporate interpreter, is forced to face her past fears and rethink her future plans as she is confronted with deception, threats to her life, and murder. When Neile’s wealthy employer dies in a suspicious car accident that also critically injures her co-worker and best friend, she forms an unlikely partnership with Scotsman Ewen Erskine, a recent business acquaintance. Erskine suddenly inherits his uncle’s multinational corporation after the older man’s unexpected death on the same night as the mysterious demise of Neile’s boss. As secret plans for a global healthcare network are revealed, more deaths follow. Neile soon finds herself in a personal as well as professional relationship with Erskine as they work together in their efforts to uncover the truth about those who have fallen prey to foul play. Their journey takes them from Louisiana to Scotland, but the killer follows. As they grapple with personal threats and insidious attacks by an elusive sociopath, Neile struggles to overcome increasing difficulty with a congenital cardiac condition and her painful past, while Erskine tries to deal with terrible secrets from his youth that have troubled him most of his life. In the terrifying inevitable confrontation with the killer, Neile realizes that more is at stake than she ever imagined. If the murderer prevails, then everyone she cares about, including innocent children, will die. 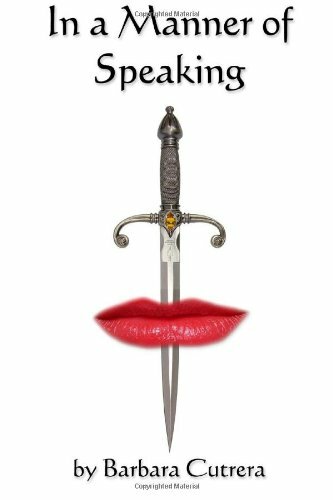 Neile Landry will have to do whatever she must in order to stop a sociopath bent on the destruction of all she holds dear even if she is forced to forfeit her own life in the process. 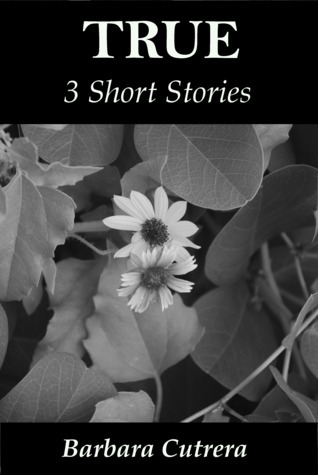 Readers begin their journey through this compilation of short stories in Louisiana with eighteen year-old Cotton Landry, a smart young woman with a loving father who makes his living as a gambler. Cotton dreams of becoming a doctor but fears she is destined for a career at Guidry’s Handi-mart and Bait Shop unless she can escape her family’s dire circumstances. When all seems lost, Cotton is forced to find her own way out and uncover the true gift her father has given her. Victor Jones was trained from a young age to work as an assassin and believes in his duty to kill in order to protect the safety of others in the world. His life is forever altered when the one person he has allowed himself to truly love is lost because of his family’s legacy in the secret intelligence community. As a result, Victor is no longer certain of who he is or what to do. He finds the answer in a most unlikely place. Emma Jen had an unusual upbringing in her Mississippi town and envisioned an exciting career and a future with a smart, handsome, romantic man. That was not to be. Now middle-aged and a widow for many years, she finds herself raising her granddaughter alone. Longing for the life she never had, she decides to discover if it is not too late to attain the fulfillment she sought as a girl. As she journeys toward her potential and uncovers new possibilities, she realizes that her dreams did not have to die with her youth. True highlights the poignant, the ironic, and the dramatic elements that intertwine throughout the web of our reality. In Clean as Cotton, The Heart of Victory, and Imagine, the reader is introduced to Cotton, Victor, and Emma Jen. These characters are unique, yet they share one trait that binds their diverse stories. Through the ordinary and extraordinary facets of their lives, they embody the search all of us face in the hunt for our sense of self, a sense of purpose, and a sense of innate truth in our world. UPCOMING AND ONGOING – The Story of My Life at the Moment! Since my proofreader for blogs (Budge) didn’t catch the error in the title of this week’s blog, I’m re-posting it with the correction. Sigh. See below. This past week was atypical regarding my literary endeavors, but that was fine. My 82 year-old mother was here in Florida for a holiday visit. She came for a week, since we couldn’t get together for Thanksgiving or Christmas. I worked at my day job for the Division of Blind Services in the morning then took off each afternoon so that I’d have most of the day to spend with her. She’s not an early riser. We kept her busy, and we all had a great time. However, the visit left virtually no time for writing or promoting. That was okay. She’s my mother and is 82. A week together is worth the time lost when it comes to my literary career. I did take some time to create the exciting event that will take place this Wednesday, December 18th, from 6-10 p.m. It’s sponsored by Reading, Writing and Book Reviews and allows authors to “take over” the Facebook page in the spirit of the holiday season. The event is by invitation only, so if you haven’t friended or liked my Facebook pages then do so right now athttps://www.facebook.com/pages/Barbara-Cutrera-Author/294829647240199 (my author page) which feeds off my primary page of https://www.facebook.com/ . If you’ve been invited and haven’t yet accepted, then join the event now! Then you can invite others to the event as well! 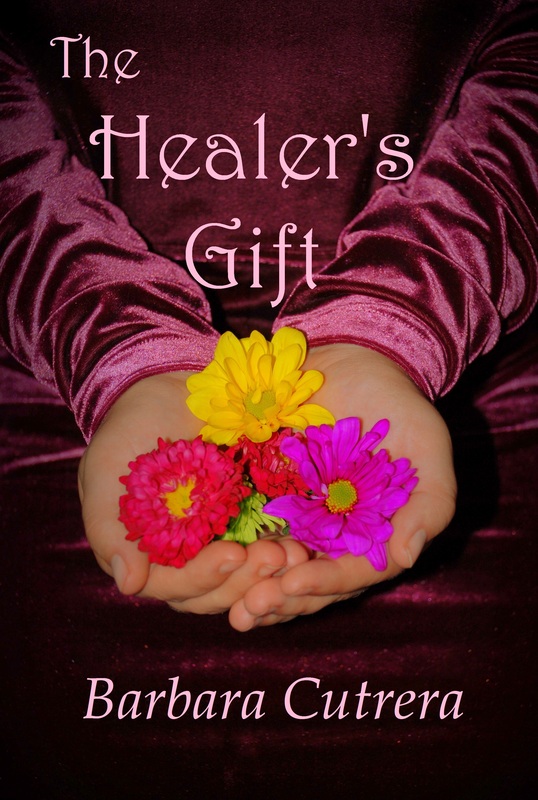 I’ll be posting, chatting, posting excerpts, giving away prizes, and discussing The Healer’s Gift and my other works. This is my first “take over” event and is called Holiday Author-A-Thon – Barbara Cutrera Takes Over!